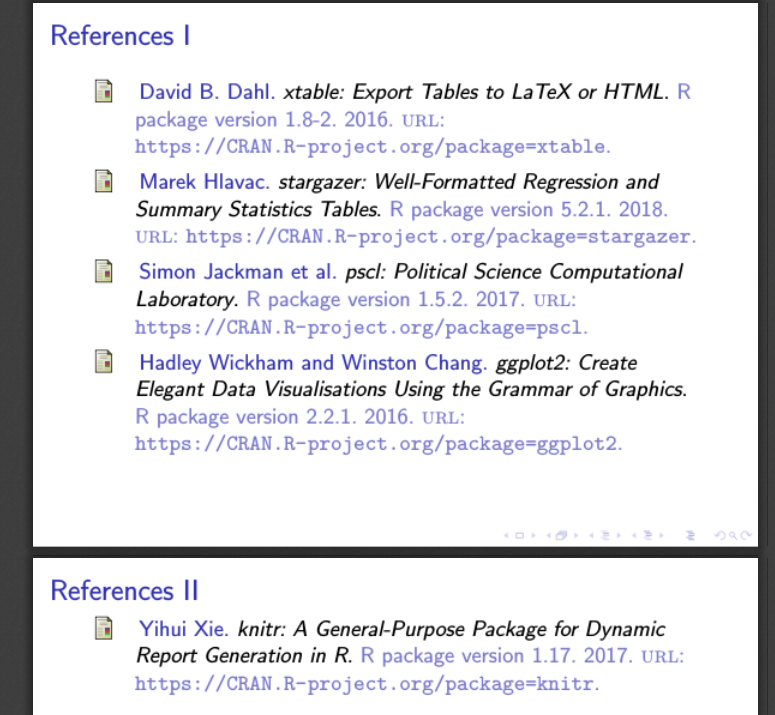 I would like to cite R packages we did for a group work, without direct citation, in my beamer presentation: I would like to have a final frame (or group of frames) that recap all the packages used. R exports the correct citations in Bibtex format so I would like to know how do this. Not the answer you're looking for? Browse other questions tagged bibliographies bibtex r or ask your own question.